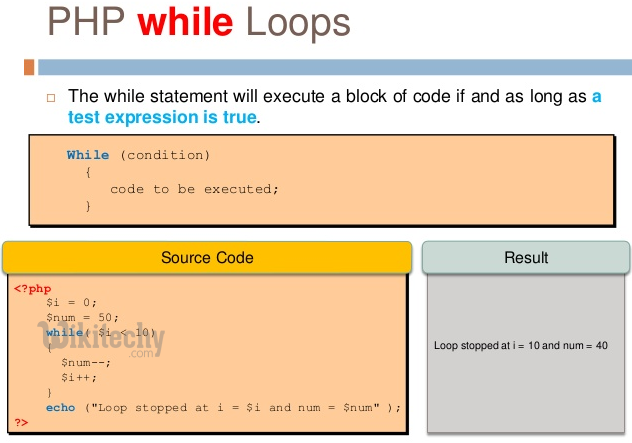 While loops will be executed if the set of code for the particular condition is true. 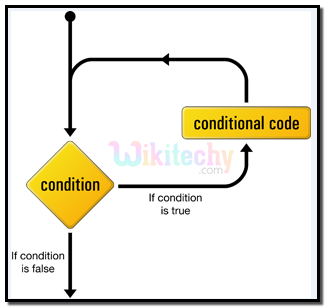 If the condition becomes false, the statements within the loop stops executing and control passes to the next statement in the loop. $x =10 is a variable. 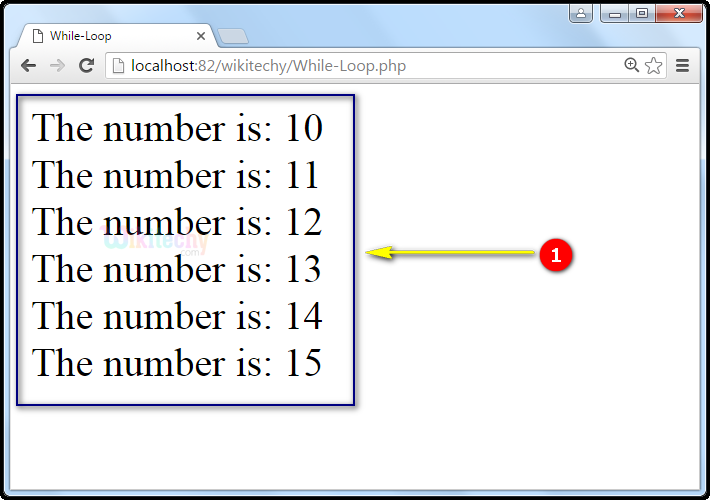 while($x <= 15) is the while loop which will continue to run as long as $x=10 is less than, or equal to 15 ($x <= 15). $x =10 will increase by 1 each time the loop runs ($x++) variable till 15. 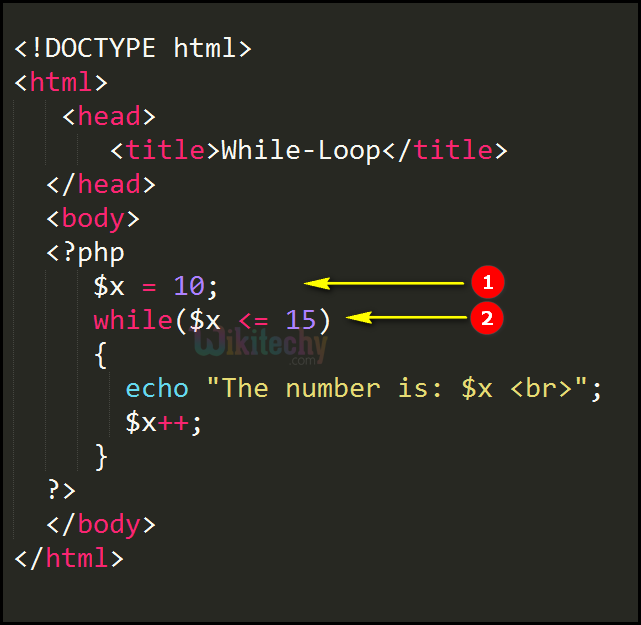 While loop will continue to run as long as $x=10 is less than, or equal to 15 ($x <= 15) which will increase by 1 each time the loop runs ($x++) till 15.